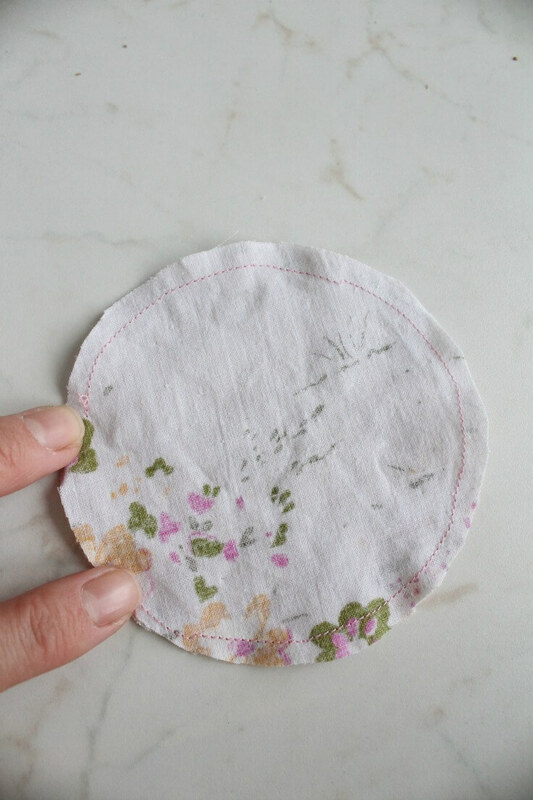 Fold each of your fabrics in half, right sides together and trace around each circle then cut out. 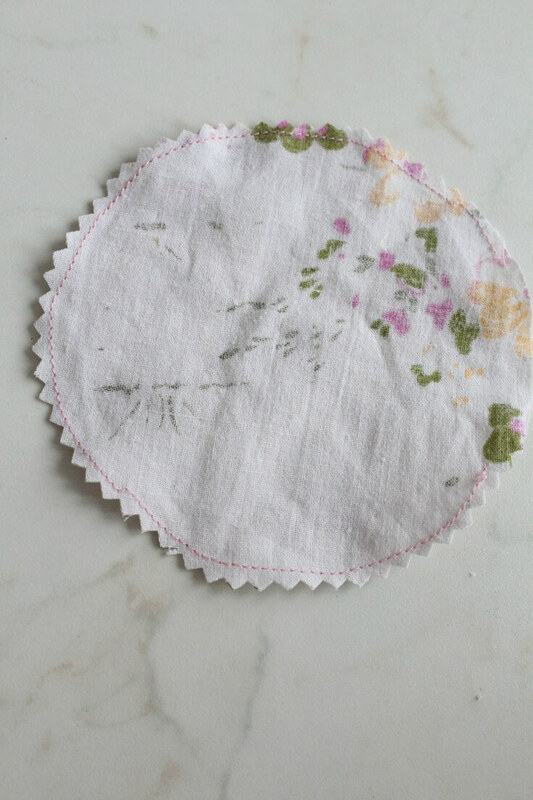 Sew around each circle, leaving a small opening for turning right side out and stuffing. 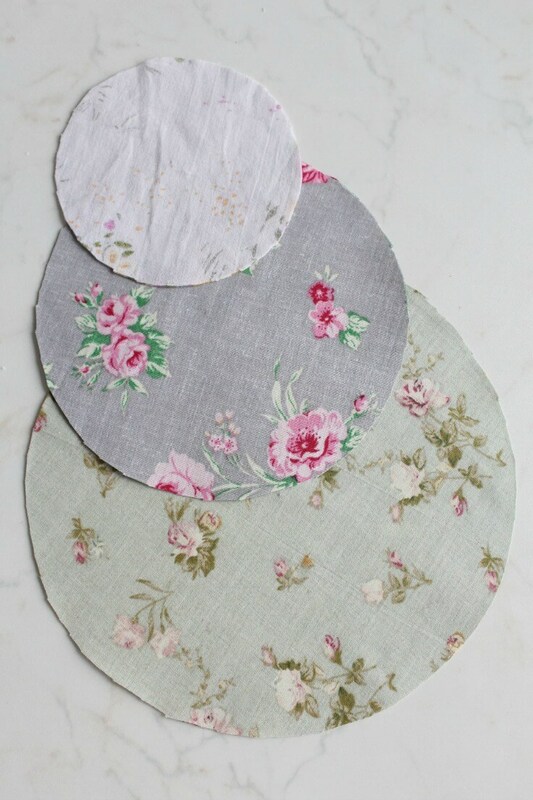 Trim fabric excess with your pinking shears, making sure you don’t cut through the seam and turn circle right side out. Press. Stuff each pumpkin with fiberfill until you have a round-ish ball. 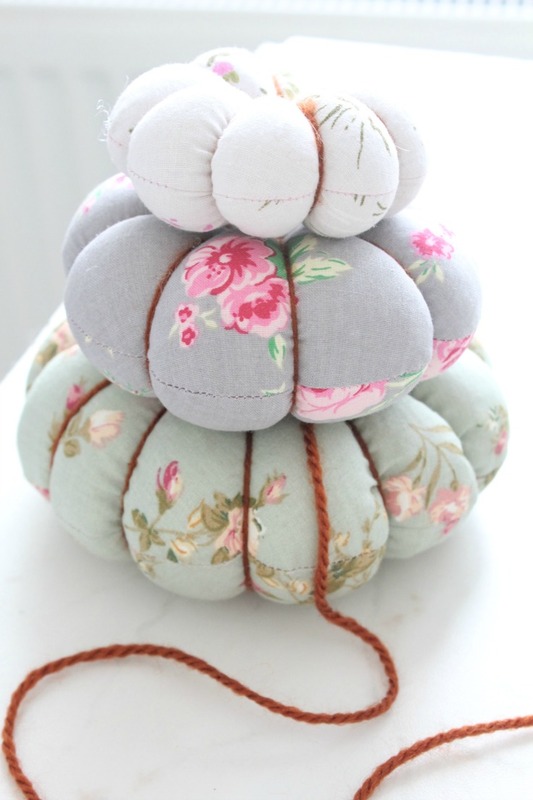 With a large needle threaded with yarn, insert needle in the center of the ball from top to bottom. Take thread around the outside and insert in the same spot again. Pull tight to make a dent. 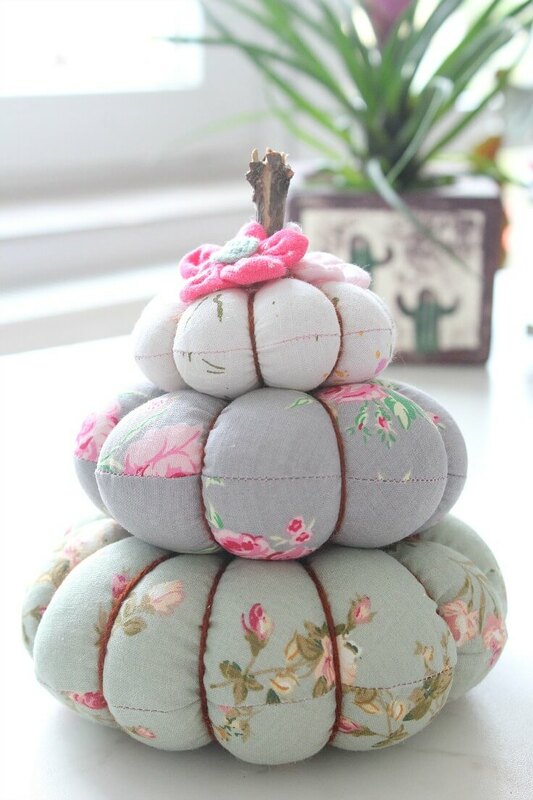 Continue making the same stitch until you have divided the ball in four equal parts, then divide each quarter once or twice more (depends on how many sections you want your pumpkins to have and how big your pumpkin is. For my small one I divided only once, for the large one I divided twice more). Secure the last stitch with a knot. Attach all pumpkins together with the needle inserted in the center of each pumpkin. Attach the stick to the top using your hot glue gun. 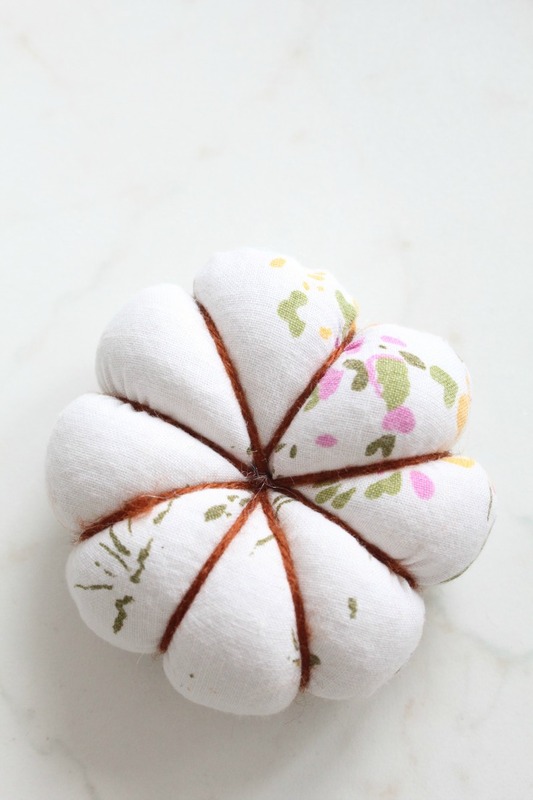 Embellish with fabric flowers attached using your hot glue gun again. 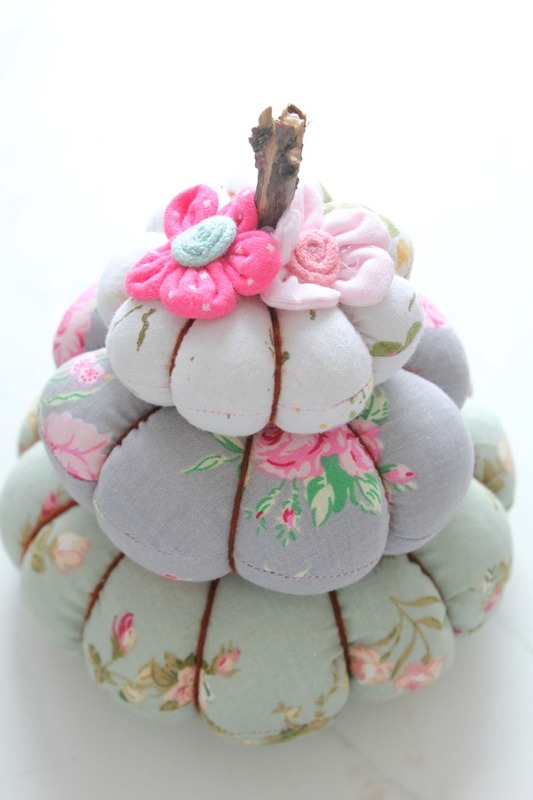 And your pumpkin pincushion is done! So cute, right? If you liked this tutorial please let me know in the comments and don’t forget to rate it! That is adorable! I love the fabrics too. Thanks so much for sharing at #HomeMattersParty. This is very beautiful, Petro!